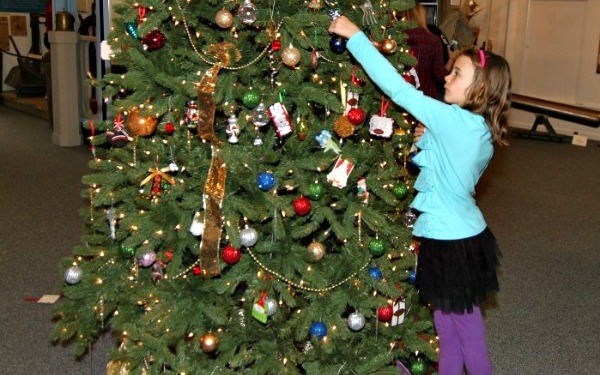 The annual lighting of the state holiday tree in Raleigh, ornament making in Asheville and a demonstration of military life on North Carolina’s western frontier in Statesville are just a few of the opportunities for fun and discovery you’ll find this weekend with the N.C. Department of Cultural Resources. 1. Join Gov. Pat McCrory for the state tree lighting and holiday festival at the State Capitol in Raleigh Thursday. 2. Learn how Christmas was celebrated by Civil War soldiers and sailors at home and in the field at the CSS Neuse Interpretive Center Saturday in Kinston. 3. Meet historical figures from the Lower Cape Fear region and hear some seasonal stories from the area at the N.C. Maritime Museum in Southport Friday as part of the town-wide Winterfest celebration. 4. 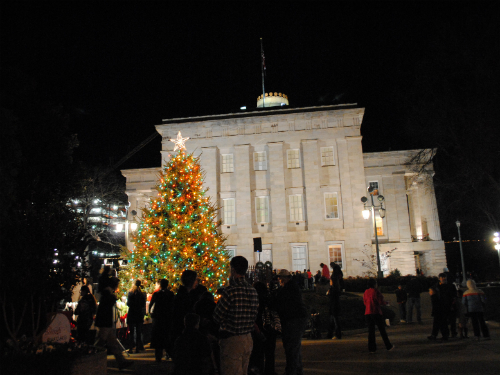 Explore two of Raleigh‘s iconic landmarks-the Executive Mansion and the State Capitol-decorated for the season and open for tours throughout the weekend. 5. 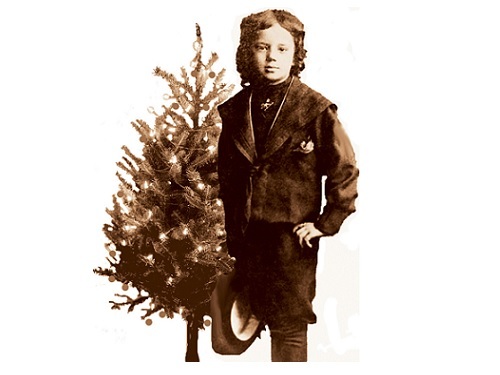 Make a holiday ornament Saturday at the Thomas Wolfe Memorial in Asheville. 6. 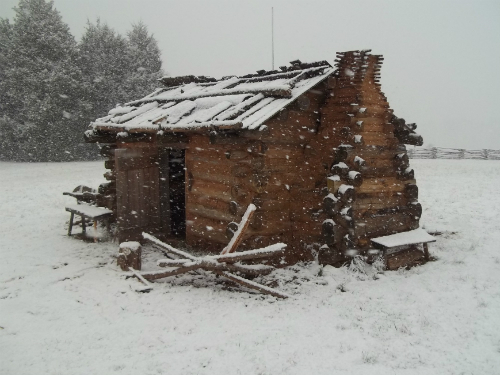 See how soldiers braved the harsh winter on North Carolina’s western frontier Saturday at Fort Dobbs in Statesville. 7. 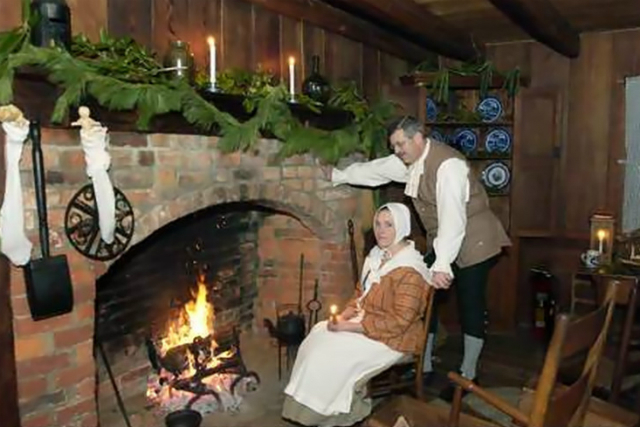 Attend an authentic candlelit service at the ruins of St. Philips Anglican Church and explore how American colonists celebrated Christmas at Brunswick Town/Fort Anderson’s 18th Century Christmas Saturday in Winnabow. 8. 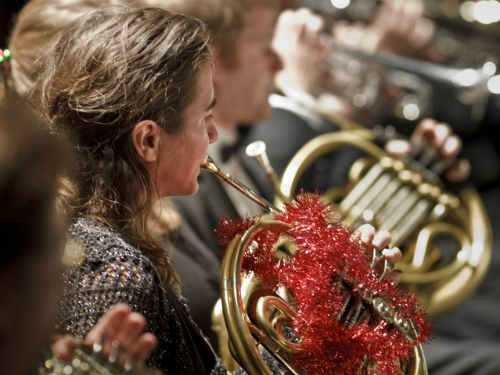 Enjoy a concert of classical Christmas selections by Mozart, Bach and others Saturday in Chapel Hill. 9. 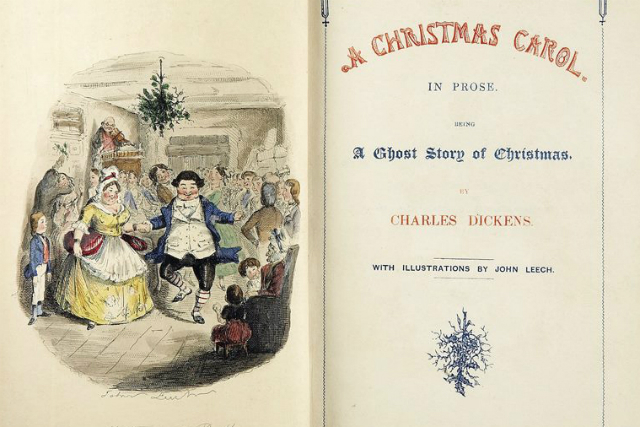 Spend a festive holiday afternoon with Duke Homestead in Durham Sunday, as part of the site’s Victorian Family Christmas. 10. 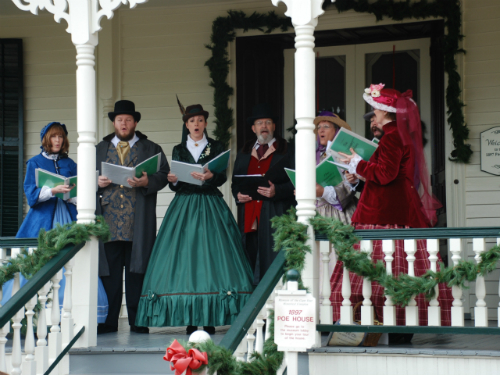 Delight in the sights, sounds and tastes of Christmases past with music, hearth-baked food, children’s activities and special tours at Historic Bath Saturday. 11. 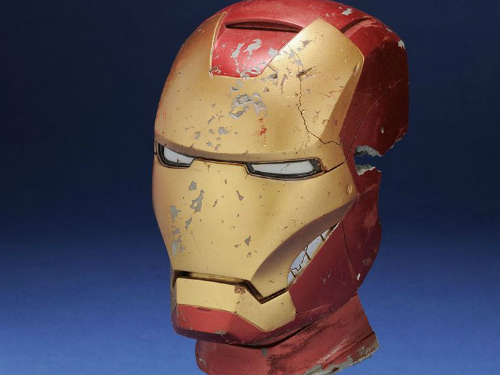 See Iron Man 3 Friday as part of the N.C. Museum of History’s Starring North Carolina!film series in Raleigh. 12. 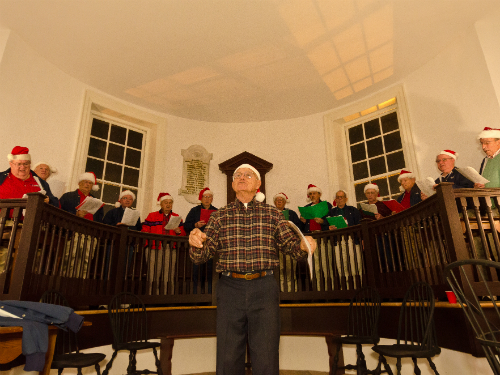 Celebrate the season with Historic Edenton, which will be hosting caroling at the 1767 Chowan County Courthouse and the annual James Iredell House holiday “groaning board”throughout the weekend. 13. 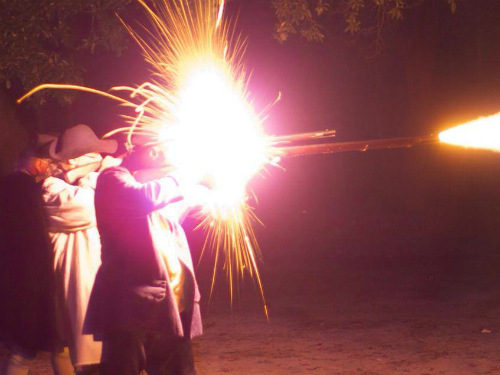 Experience the spectacle of a colonial Christmas at Tryon Palace complete with fireworks, fire-eating, magic tricks and meetings with military re-enactors representing 300 years of history throughout the weekend in New Bern. 14. 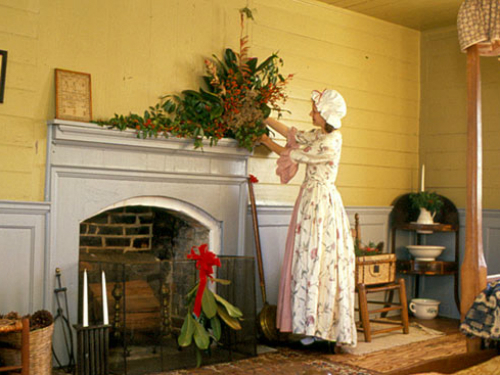 Hear the music and taste the food of an 1897 Christmas in Fayetteville at the Museum of the Cape Fear’s Holiday Jubilee Sunday. 15. 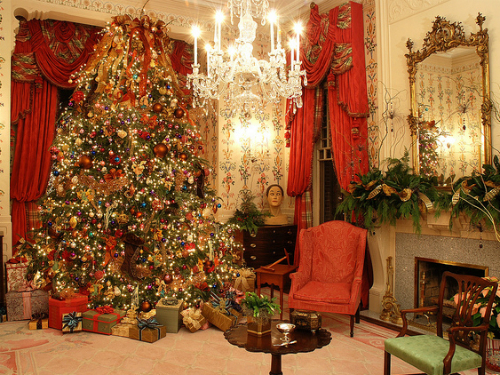 Tour the stately buildings at Historic Halifax decorated for the season Saturday. 16. Join Alamance Battleground in Burlington for dulcimer music, refreshments and musket firings as part of its annual holiday open house Saturday. 17. 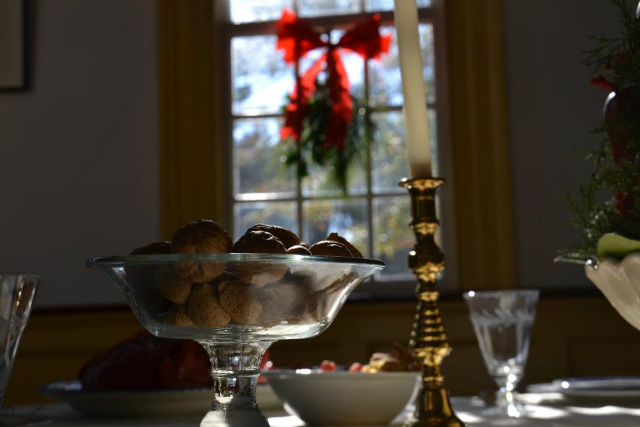 See 18th century craft demonstrations as you listen to period music and sample seasonal treats at the House in Horseshoe’s holiday open house Saturday in Sanford. 18. 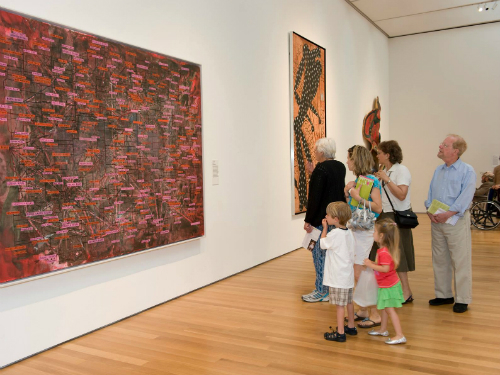 Take a family-friendly tour of the Small Treasures exhibition at the N.C. Museum of Art in Raleigh. North Carolina’s historic sites, museums and other cultural institutions will be spreading good cheer across the state this weekend. 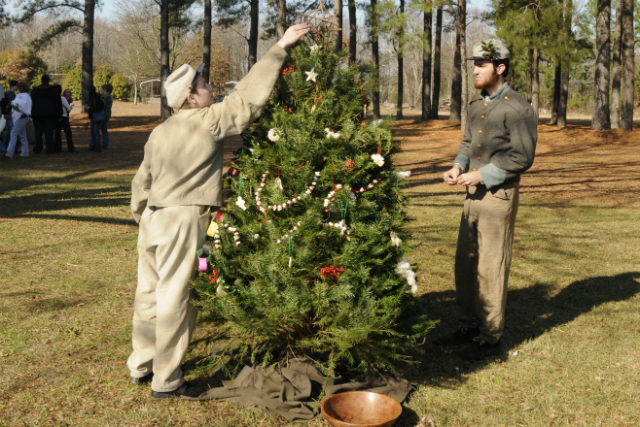 Civil War-style celebrations of Christmas in Durham and Four Oaks, a Polar Express adventure in Elizabeth City and a 1940s holiday bash in Sedalia are just a sampling of fun programs you’ll find throughout Tar Heel State. 1. Cookies and cocoa at Dr. Brown’s home in Sedalia Saturday. The snacks are part of a larger program at the Charlotte Hawkins Brown Museum that looks at Christmas during the 1940s. 2. 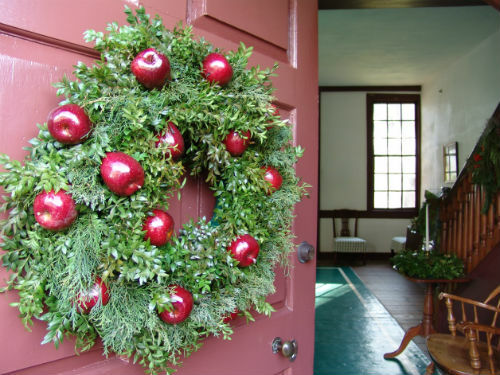 Music, crafts, food and fun as part of Christmas at the Big House, Christmas at the Quarters at Historic Stagville in Durham Saturday. 3. 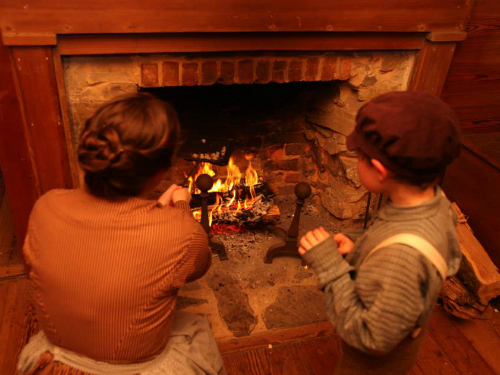 1830s Christmas Candlelight tours of Vance Birthplace in Weaverville Saturday, where visitors will play the part of travelers seeking lodging for the night at the Vance home. 4. 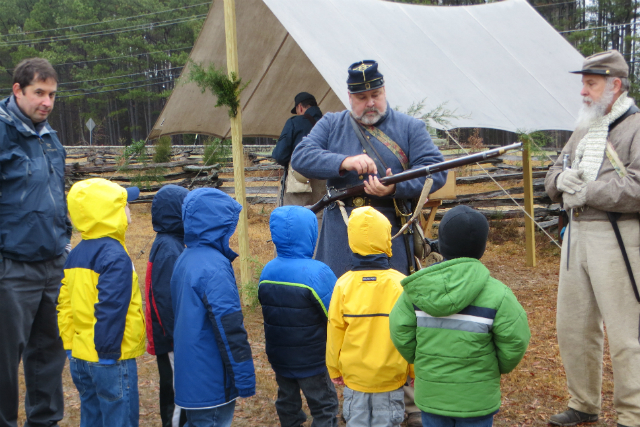 A Civil War Christmas at Bennett Place in Durham Saturday and Sunday, complete with traditional cooking demonstrations, caroling and decorations from the period. 5. 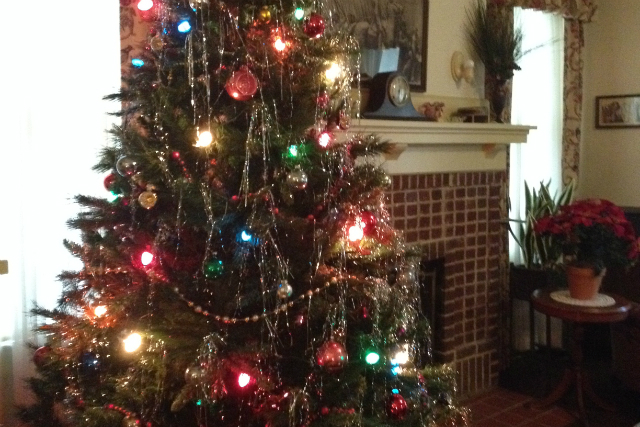 Ornament-making at Mount Gilead‘s Town Creek Indian Mound Saturday. 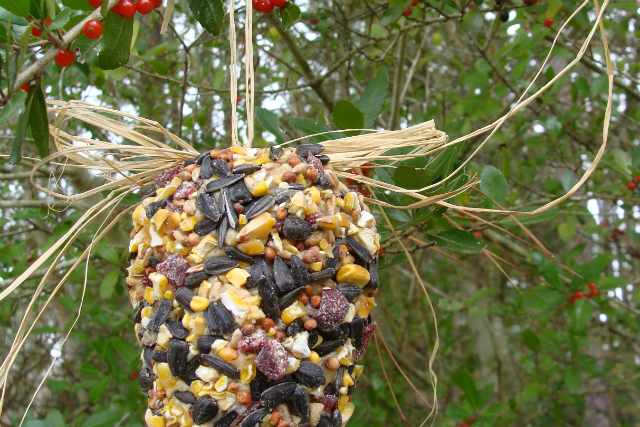 Visitors can choose to make edible “orniments” for birds or a clay decoration for their tree. 6. A German-style “Golden Christmas” at Reed Gold Mine in Midland Saturday. 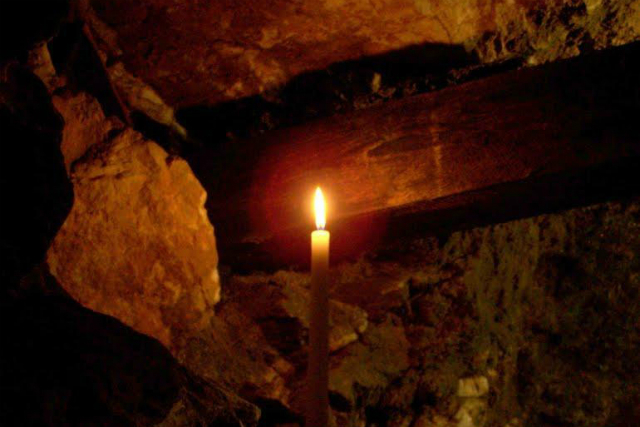 Craft demonstrations, candlelight tours of the mine and activities for the kids will all be part of the fun. 7. Refreshments and the chance to see what life was like for common Civil War soldiers on furlough during the holidays during Bentonville Battlefield’s Christmas program in Four OaksSaturday. 8. 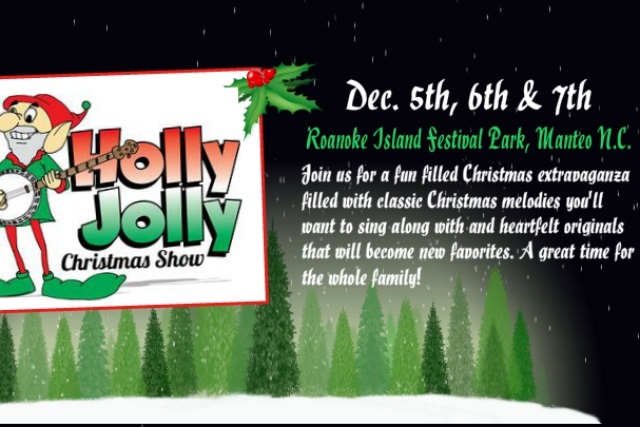 A fun-filled Christmas extravaganza featuring classic seasonal songs throughout the weekend at Roanoke Island Festival Park in Manteo. 9. Pinecone decorating and stories surrounding the origins of the Christmas tree as part of aVictorian Christmas at the N.C. Maritime Museum in Southport Saturday. 10. 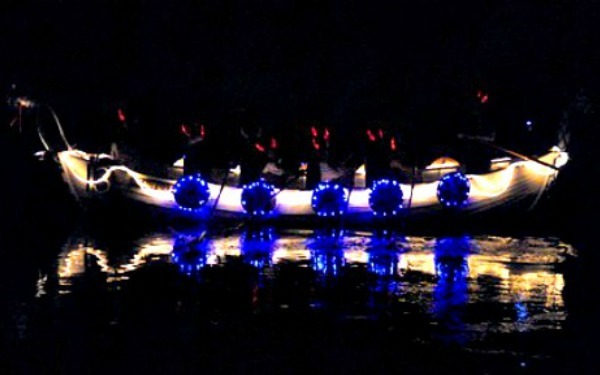 A Crystal Coast Christmas Flotilla along the Beaufort waterfront Saturday night, right near the N.C. Maritime Museum. 11. 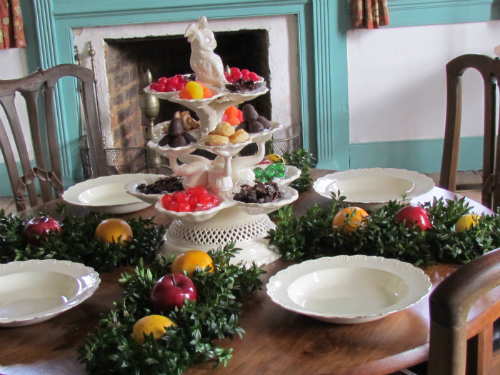 A glimpse into the splendor of the season on an antebellum plantation, complete with traditional decorations and a good ole’ fashion Southern meal, Sunday at Somerset Place inCreswell. 12. 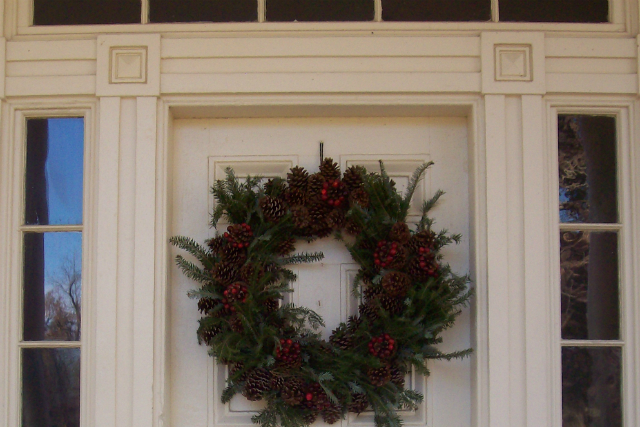 Nighttime tours of Durham‘s Duke Homestead decorated for an 1870s Christmas Friday. 13. 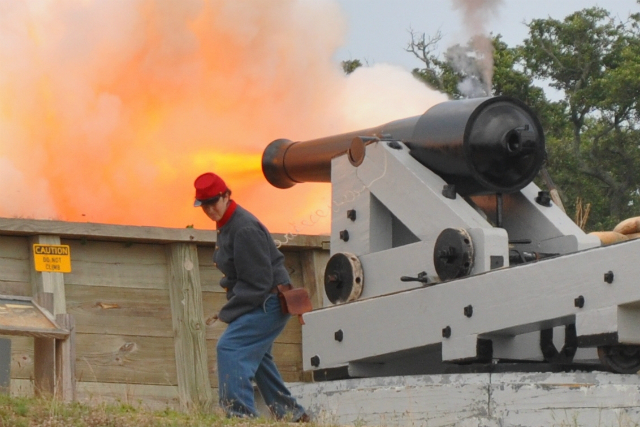 Arms drills, cannon firing and displays of Civil War camp life at Fort Fisher in Kure Beach Saturday to commemorate the 150th anniversary of the first Federal attack there . 14. 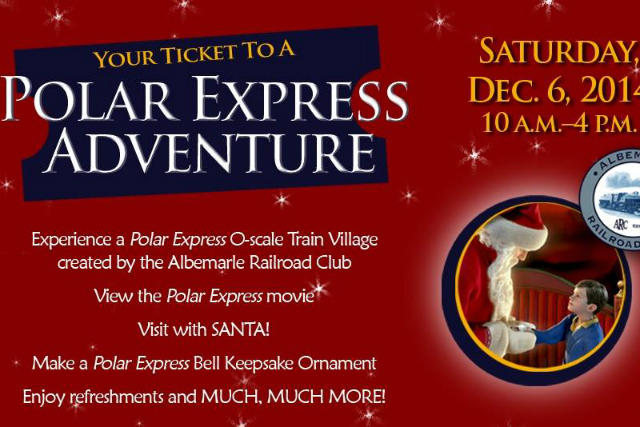 A Polar Express-themed holiday celebration at the Museum of Albemarle in Elizabeth City Saturday, featuring carriage rides and a model train village based on the family film favorite. 15. 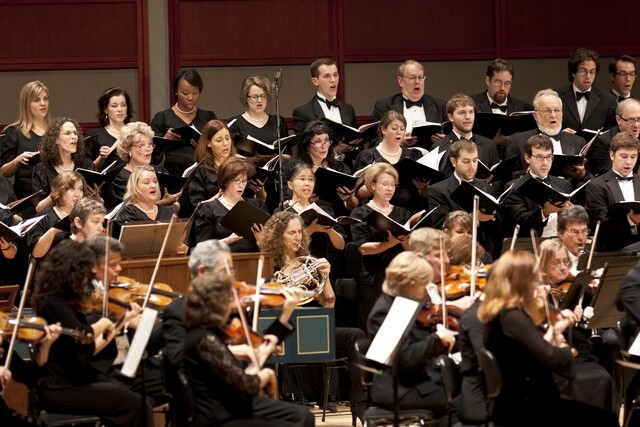 Performances of Handel’s Messiah by the N.C. Symphony and N.C. Master Chorale throughout the weekend in Raleigh and Southern Pines. 16. 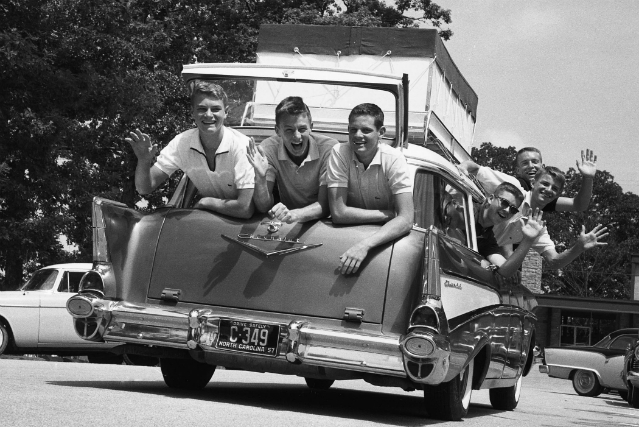 A lecture and book signing on growing up in Raleigh during the 1940s and 50s Sunday at the N.C. Museum of History in Raleigh. 17. 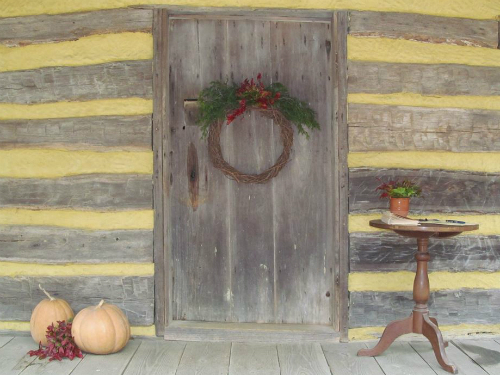 Stories of Christmas past and special treats at the Mountain Gateway Museum Saturday, in conjunction with the Old Fort Christmas parade. Check out DCR’s calendar for more information on these and other events, and a enjoy a great North Carolina weekend! If you know someone who’d like to receive these emails, they can sign up on the N.C. Department of Cultural Resources website. 1. Take your kids trick or treating aboard the Battleship North Carolina in Wilmington. 2. See how the Victorians mourned their dead on one of Duke Homestead’s Widows and Wakes tours in Durham. 3. Hear about one of the spookier items in the N.C. Museum of Art’s permanent collection before watching a local magician and sipping on a beer in Raleigh. 4. Learn about the “secret” history of pumpkins, sample pumpkin-based foods and paint a pumpkin of your own at Historic Stagville in Durham. 5. Enjoy tales of lost souls, pirates and other mysteries of the Lower Cape Fear region at the N.C. Maritime Museum in Southport. 6. Take your kids to hear the ghoulish sounds of The Sorcerer’s Apprentice performed by the N.C. Symphony in Raleigh. 7. 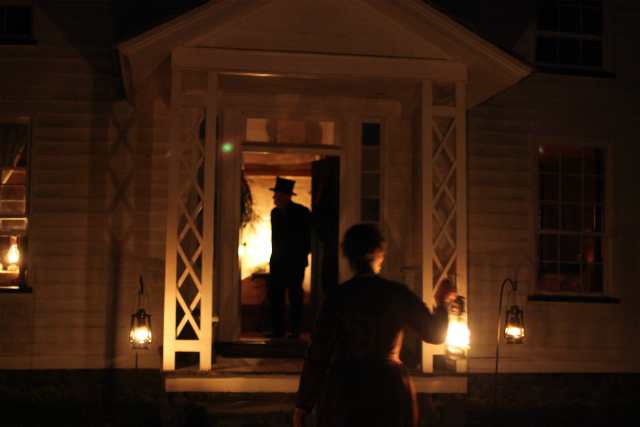 See how Halloween was celebrated around the turn of the 19th century on a night tour of the Poe House in Fayetteville. 8. Meet friendly ghosts on the grounds of Tryon Palace in New Bern after celebrating “All Hallow’s Eve” with crafts, games, spooky stories and a 1940s-inspired radio show. 9. Trick or treat through the Tar Heel State’s history at the N.C. Museum of History’s “The Story of North Carolina” exhibit in Raleigh. 10. Meet a pirate at Halloween in Halifax after seeing Blackbeard’s booty in the Queen Anne’s Revenge traveling exhibit. Our event offerings don’t stop after Halloween, so be sure to stay tuned to our events calendar and sign up for our weekly event emails to stay in the loop. of the town-wide Pirate Invasion. A pirate invasion in Beaufort, a chance to play in the clay in Mount Gilead and a children’s festival in Durham are just a few of the opportunities for fun and discovery you can find this weekend with the N.C. Department of Cultural Resources. The weekend starts Thursday when Historic Edenton will offer sneak peek tours of the recently restored Roanoke River Lighthouse in celebration of National Lighthouse Day. Friday, the N.C. Museum of Art in Raleigh will let visitors meander through its galleries after dark with the smooth country sounds of David Dyer & the Crooked Smile Band in the background before showing the 2013 hit film American Hustle under the stars. Saturday will be a busy day across the state. In the east, the N.C. Maritime Museum inBeaufort will host weapons demonstrations and pirate-themed crafts and offer an educational and entertaining lunch with Blackbeard and his crew as part the town-wide annual Pirate Invasion. The museum’s counterpart in Southport will host model train displays and special tours focused on the area’s railroad history. Historic Edenton will offer a yoga class on the 1767 Chowan County Courthouse lawn, while the Tryon Palace in New Bern hosts locally-raised artist Gerry King for a reception to celebrate his new book of paintings of Craven County . 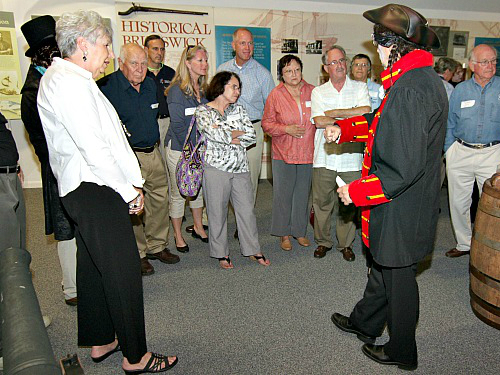 The CSS Neuse Interpretive Center in Kinston will host interpreters portraying nurses and a surgeon for a program on medicine during the Civil War, while Brunswick Town/Fort Anderson in Winnabow will offer hourly Civil War naval living history demonstrations focusing on torpedoes and deadly mines feared by the Union Navy. In Wilmington, the Battleship North Carolina will have volunteers demonstrating life at sea posted throughout the ship and host displays and artifacts highlighting the differences between the CSS and USS North Carolinas during the Civil War. 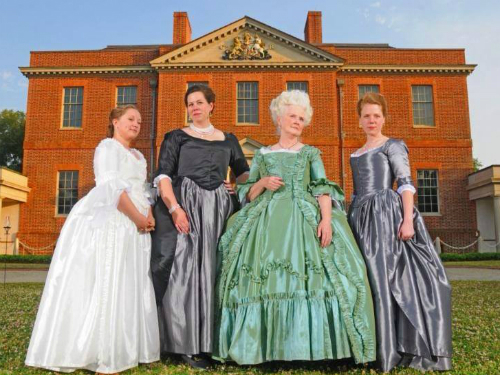 In the Piedmont, Burlington‘s Alamance Battleground will have colonial games, crafts and more as part of its kids’ day, while visitors to the State Capitol in Raleigh can get a rare glimpse of the attic and other normally hidden spaces on behind-the-scenes tours. In Durham, Duke Homestead’s annual children’s festival will include music and dancing, historical crafts and activities and more, while Town Creek Indian Mound in Mount Gileadwill give visitors the chance to learn about the Pee Dee culture, make pottery and see dugout canoes be built. 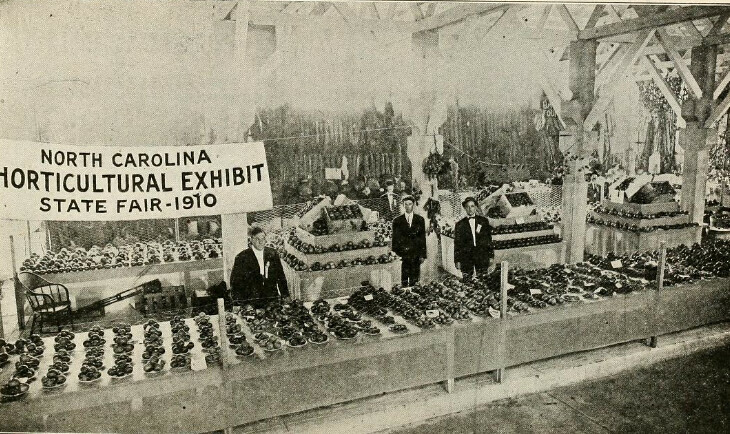 Back in Raleigh, the N.C. Museum of History will allow visitors to watch local painterSusan Brabeau as she works before offering a scavenger hunt and craft related to the unique 1920s dug store exhibit. Later in the afternoon the Museum of History will host a panel discussion on Morganton native and U.S. Senator Same Ervin and his role in Watergate. 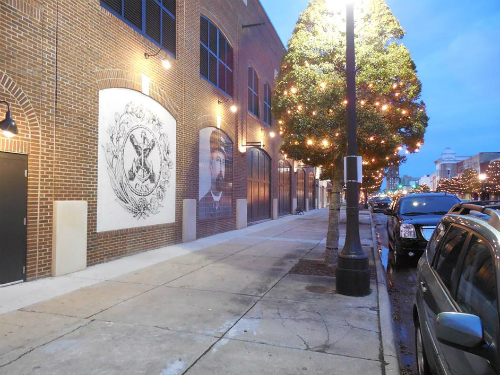 Across town, the N.C. Museum of Art will give kids and parents the chance to make a mosaic together after taking a short tour of the galleries and put on a concert by the Grammy Award-winning Carolina Chocolate Drops in the Museum Park. In the west, the Southeastern Center for Contemporary Art (SECCA) in Winston-Salem will offer fun and creative art making activities for kids, before the Reed Gold Mine in Midland screens the movie Like Rats in a Trap that was filmed on site. The N.C. Transportation Museum in Spencer will offer a special scavenger hunt focusing on the art of automobile design, while showing off classic to modern Corvettes and Camaros during its All GM Show. The weekend wraps up Sunday when SECCA will participate in Winston-Salem‘s city-wide Second Sundays on Fourth with art making activities for the whole family inspired by the film Short Circuit, and the N.C. Museum of History in Raleigh closes its awarding-winning exhibit on the Watergate scandal. A pirate invasion in Bath, a glimpse into plantation life in Creswell and a Civil War encampment in Weaverville are just a few of the opportunities for fun and discovery you’ll find this weekend with the N.C. Department of Cultural Resources. The weekend gets off to a musical start Friday evening, when the N.C. Museum of Art in Raleigh will show the Disney sensation Frozen outside under the stars. Saturday promises something for everyone across the state. In the east, pirates will invade Historic Bath for a re-enactment of Blackbeard’s downfall which will also feature cooking demonstrations, lectures and the recreation of a pirate funeral. Civil War weapons will be the focus in Kinston, where the CSS Neuse Interpretive Center will showcase an extensive collection of weapons from the War Between the States and perform firing demonstrations throughout the day, while volunteers demonstrating life at sea will be posted throughout the Battleship North Carolina in Wilmington. The ship will also host submarine veterans for a display on what their daily life experiences were like aboard these undersea craft. Pirates will invade Historic Bath Saturday. Join them for family fun. Elsewhere in the east, Aycock Birthplace in Fremont and Historic Halifax will both host community yard sales where visitors can discover the history in their neighbors’ old stuff, while Historic Edenton will offer another installment of its popular yoga classes on the picturesque lawn of the 1767 Chowan County Courthouse. The Museum of the Albemarle in Elizabeth City will present a program on Coast Guard aviation complete with hands on activities, a film screening and the chance to meet veterans, while period games, dramatic performances of slave narratives and arts and food vendors will be featured during a showcase of plantation life at Somerset Place in Creswell. Two programs related to nature round out the events in the eastern part of the state Saturday. The program at the N.C. Maritime Museum in Beaufort will focus on whales and include science activities for kids using the museum’s massive 34-foot whale skeleton, while the Maritime Museum in Southport‘s “N.C. Wild” program will include crafts and the chance to touch and learn about a variety of coastal creatures large and small. In the Piedmont, Duke Homestead in Durham will celebrate the tastes of the Tar Heel State with a barbecue cook-off, juried pie competition, historical cooking demonstrations and more, while Town Creek Indian Mound in Mount Gilead will let visitors try their hand at archaeology and have birthday cake on hand to celebrate the big day of an archaeologist who did pioneering work at the site. Alamance Battleground in Burlington will bring alive the Colonial era with military and civilian living history demonstrations, while the Charlotte Hawkins Brown Museum in Sedalia will feature performances and work by local artists as part of its African American Arts Festival. The N.C. Museum of History in Raleigh will let visitors observe historic costume marker Andy Sterlen while he fashions an 18th century coat, and then give them to chance to try a few stitches of their own. Across town, the N.C. Museum of Art in Raleigh will offer a gallery tour and studio time for families focused on kids’ books and present a concert of the smooth, Southern sounds of Loundon Wainwright III and Iris Dement, while in Cary, the N.C. Symphony will play a concert with Captain and Maria von Trapp’s great-grandchildren featuring tunes from the Sound of Music. They’ll be plenty to do in the west, too. Asheville‘s Thomas Wolfe Memorial will host well-known Tar Heel writer Heather Ross Miller for a poetry reading and book signing, while the Southeastern Center for Contemporary Art (SECCA) in Winston-Salem will help kids make music-related crafts. Just up the road in Pinnalce, Horne Creek Farm will highlight the region’s quilting traditions with weaving and knitting demonstrations and a small vendor fair featuring homemade crafts. Throughout the weekend, Vance Birthplace in Weaverville will come alive with sights and sounds of Civil War camp life for a living history program, while SECCA will host performances of Billy and the Gold Pencil, a new, comic book-inspired rock musical featuring the work of North Carolina musicians. Judging a barbecue contest, visiting with junior interpreters and hearing about the experiences of North Carolinians during the Battle of Gettysburg were just a few of the highlights of Sec. Susan Kluttz’s visits to Duke Homestead and Bennett Place in Durham over the weekend for 2nd Saturdays programs. At Duke Homestead the theme was good old-fashioned North Carolina food and music. The program, called “Pork, Pickles and Peanuts: The Tastes of North Carolina,” focused on everything that makes our state taste great. While visiting the site, Sec. Kluttz saw demonstrations of traditional pickling methods, participated in a peanut boil and listed to a concert by the Malpass Brothers. The secretary also got to serve as judge in the barbecue and pie contests alongside Our State Magazine editor-in-chief Elizabeth Hutson, Durham Herald-Sun food editor Debbie Matthews, N.C. Historic Sites deputy director Dale Coats and Durham Rescue Mission Volunteer & Donor Relations Coordinator David Cash. She wrapped up her visit at Duke Homestead by talking to participants in the site’s junior interpreter program, who were demonstrating 19th-century games and toys. The program allows kids to experience history hands-on by living it. In the afternoon, Sec. Kluttz headed across town to Bennett Place. There she met two interpreters—one who represented a North Carolina solider at the Battle of Gettysburg, and another, site manager John Guss, who represented a Michigan soldier at the same battle. The secretary listed to the two talk about their differing experiences there. While at Bennett Place, Sec. Kluttz also took a tour of the site’s grounds and talked with volunteers who are working to raise funds to revamp the exhibits in the site’s visitor center. Click here to see more photos of her visits. Don’t forget that we still have one more round of 2nd Saturdays programs on August 10. Visit 2ndSaturdaysNC.com to see the full rundown of programs. Don’t miss the fun!